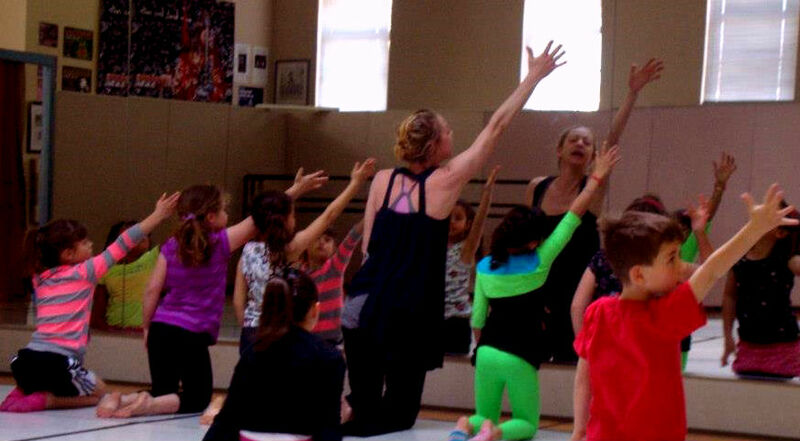 Dance camps occur during Spring Break (Albuquerque Public School schedule) and multiple weeks during Summer Break. If you are interested in applying for a scholarship you must do it in person or on the phone. 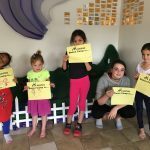 These week-long dance camps typically run 8:45 am-4:00 pm; Monday through Friday with an end-of-week performance and drop-off commencing at 8:30am. Mixed Ability/ Adaptive Camp is 12:30pm – 4:30pm (Drop-off starts at 12 noon). * Half-day camps are our Little Movers (ages 4-5) and Behind-the-Scenes Creative Tech Camp – no Before or After Care is available for half-day camps. Discounts for multiple camps and siblings registering in the same camp are offered. Please call to register when purchasing multiple camps and/or registering siblings to receive a $25 discount. One week camp (unless otherwise noted) is $295. 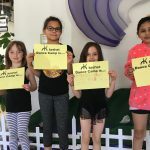 Early Bird registration for Summer Camps is $270 prior to 4/15/19. Day Rates and Extended Hours packages are available – please contact Ana@KeshetArts.org for more information. 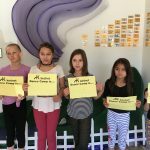 For camps that run 8:45am – 4pm, Early Drop off (from 8am – 8:30am) or Late Pickup (from 4:30 – 5pm) is available for $10 each per day OR $35 each for the week ie. $35 for a week of Early Drop-off. A limited number of scholarships are available for dance camps. Please inquire if interested. Build the foundations of dance with our expert teachers in ballet and contemporary movement. 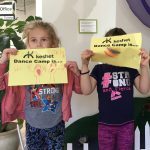 Camp will include daily studio instruction in ballet, contemporary, and choreography, as well as a little bit of dance history and a few arts and crafts activities. Campers will perform short pieces for their family and friends at the conclusion of camp! No experience necessary. Feel the groove with the rhythmic steps and awesome music of Jazz and Hip Hop styles. 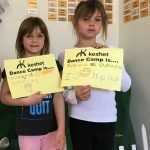 Camp will include daily studio instruction in jazz, hip hop, and choreography, as well as a little bit of dance history and a few arts and crafts activities. Campers will perform short pieces for their family and friends at the conclusion of camp! No experience necessary. Build a show! Campers will work throughout the week to build a show from the ground-up. 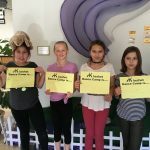 Camp will include daily studio instruction in jazz dance, plus they will practice their singing and acting, design costumes and sets, and learn a bit of dance and theater history. Campers will perform their show for their family and friends at the conclusion of camp! No experience necessary. Join us for our new camp, geared towards young creative minds who want to learn more about the art of making dances! Dancers will learn basic improvisational skills, choreography techniques as well as exploring collaborations with others. This camp will culminate in a Choreographer’s Showcase highlighting the skills acquired during the week, on Friday 20th. Campers will learn about and gain valuable hands-on experience in multiple aspects of technical theatre & stage production – including lighting and sound design, stage management, production management and costume design. No experience necessary. During this fast-paced camp, dancers will learn a little bit of a lot of dance styles. Dance camp classes will include Ballet, Contemporary, Jazz, Hip Hop and Musical Theater. Campers will perform short pieces for their family and friends at the conclusion of camp! No experience necessary. Designed for motivated and experienced dancers, attendees will take daily classes in contemporary, ballet, jazz and hip hop, and refining technique while broadening understanding of various dance styles. Dancers must have significant prior training in contemporary and/or ballet in order to attend this Intensive. This is a great way to kick of the 2019-2020 pre-professional training season! A half-day camp designed just for the youngest dancers. Dancers will take ballet, contemporary, and jazz classes. Dancers will perform short pieces that they have learned for their family and friends at the conclusion of camp! Drop off begins at 8:30am. A one week camp designed for dancers with varying levels of physical and developmental abilities. No previous dance experience is necessary.Camp classes are focused primarily on dance, but campers also will learn about elements of theatre, music and performance production. Campers will take ballet, contemporary, jazz and hip hop classes throughout the week and learn about rhythms, instruments and voices in a variety of musical styles. Keshet will provide snacks, and each camper will receive a T-shirt! Dance campers will perform a short performance for their family and friends at the conclusion of camp. During this fast-paced camp, dancers will learn a little bit of a lot of dance styles. Dance camp classes will include Ballet, Contemporary, Jazz, Hip Hop and Improvisation. Campers will perform short pieces for their family and friends at the conclusion of camp! No experience necessary. Check back for registration details. 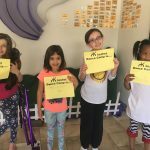 This camp is held during Albuquerque Public Schools Spring Break; This week-long dance camp runs 8:45am-4:00pm, drop-off beginning at 8:30am; Monday through Friday with an end-of-week performance.